OpEdNews, a leading news website, has picked up Anne’s article about the Sun’s move into Gemini. The article reviews the astrological sign Gemini and offers tips on how to harmonize yourself with its lively, curious energies. It also reviews the major astrological happenings during late May and most of June—critical information as we gear up for a summer of major changes on all planes. 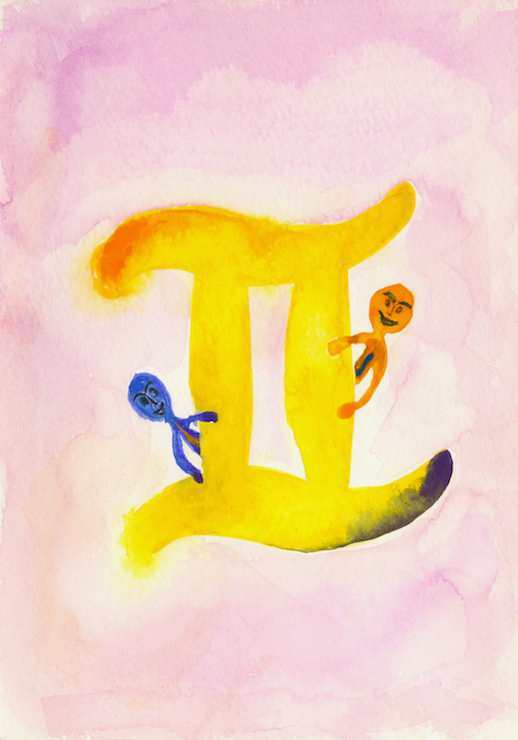 A watercolor on paper depicting the playful Twins, Gemini’s symbol, peeking out from behind this sign’s written symbol, the “II” that indicates Gemini’s inherent duality. See the article and the painting and photo now by visiting the OpEdNews article page for Anne Nordhaus-Bike. Wishing you lively good humor and enjoyable communication at this Gemini time of year!